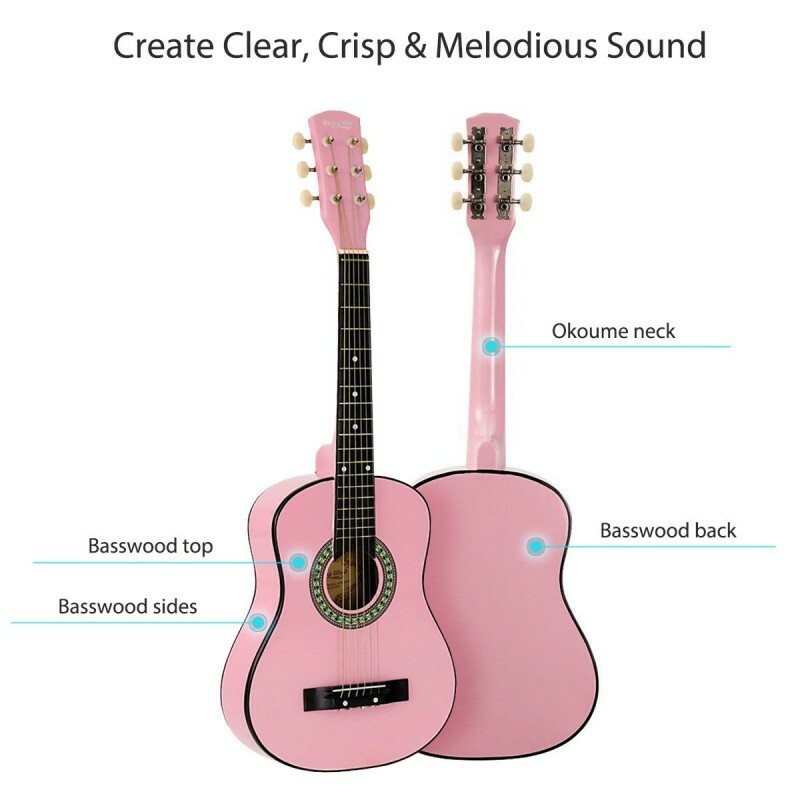 1/2 30" GUITAR: It is a guitar starter kit, ideal for ages 5-8. It looks and sounds great. Easy to play, ideal beginner's musical instrument for toddlers, kids, children, boys and girls. 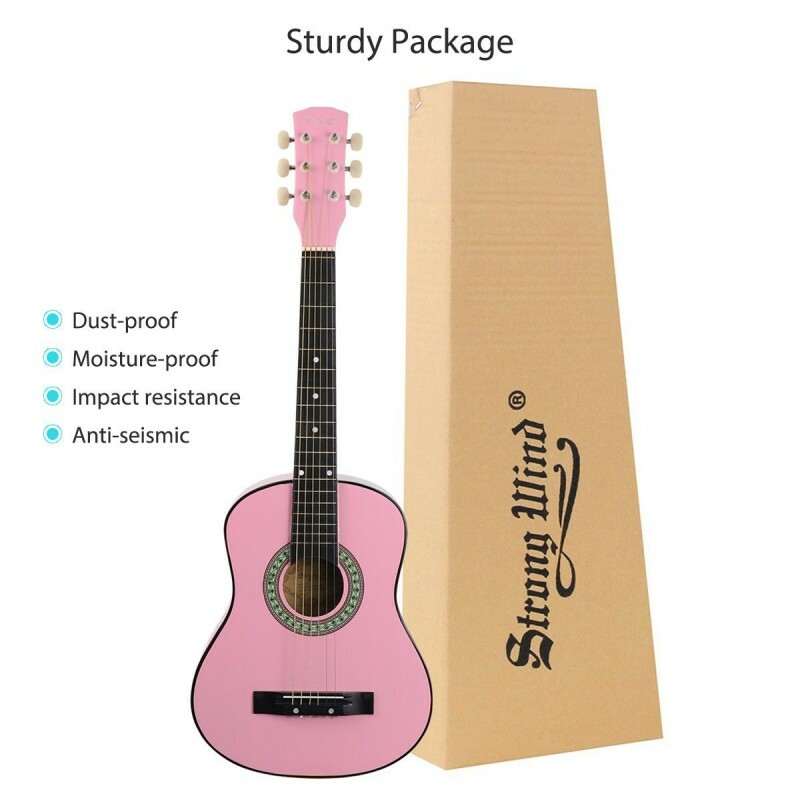 Strong Wind 1/2 size acoustic guitar is the best choice for a beginner. EASY TO TUNE WITH TUNER: Our guitar beginner kit comes with a electric tuner. 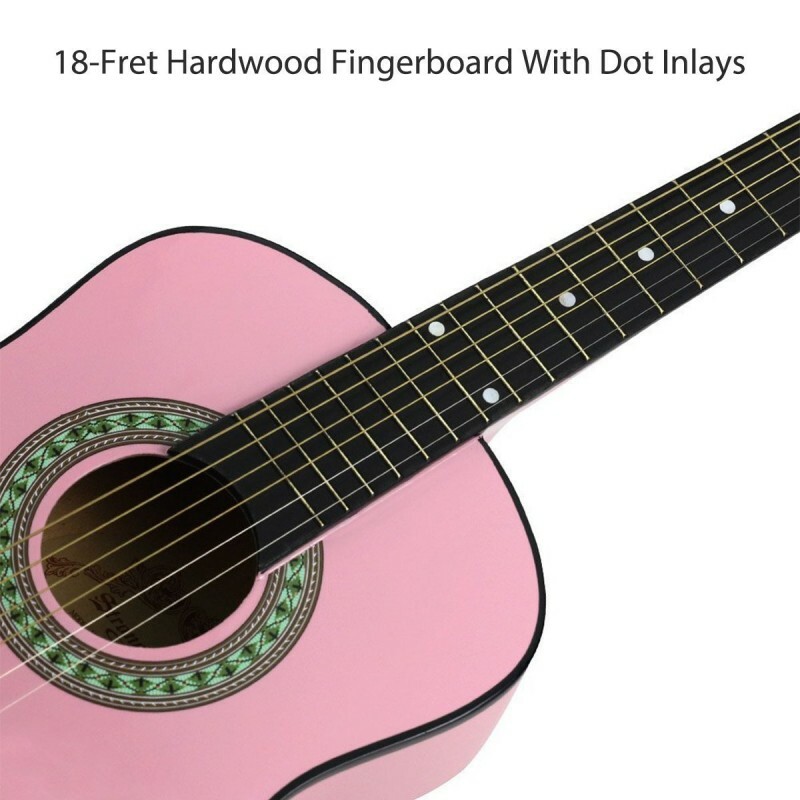 Easy to handle and helps you easily tune my guitar. Place the guitar tuner clipped on the head of the guitar and it tunes beautiful very quickly. Enjoying learning a guitar after it is get in tune. SOLID BASSWOOD TOP BACK SIDES: Our starter acoustic guitar features a sturdy and full-size dreadnought body with smooth curves, promoting comfort during playing. The solid basswood of this dreadnought guitar produces a smooth, rich, full and vibrant sound ideal for rock, folk, country and so on. SMOOTH TUNING PEGS: The pegs are smooth and well made. It is easy to adjust with the chrome geared tuning head to keep the 1/2 size guitar in tune. Smooth tuning pegs help a lot for people who are in hopes of training and learning acoustic guitar on their own. 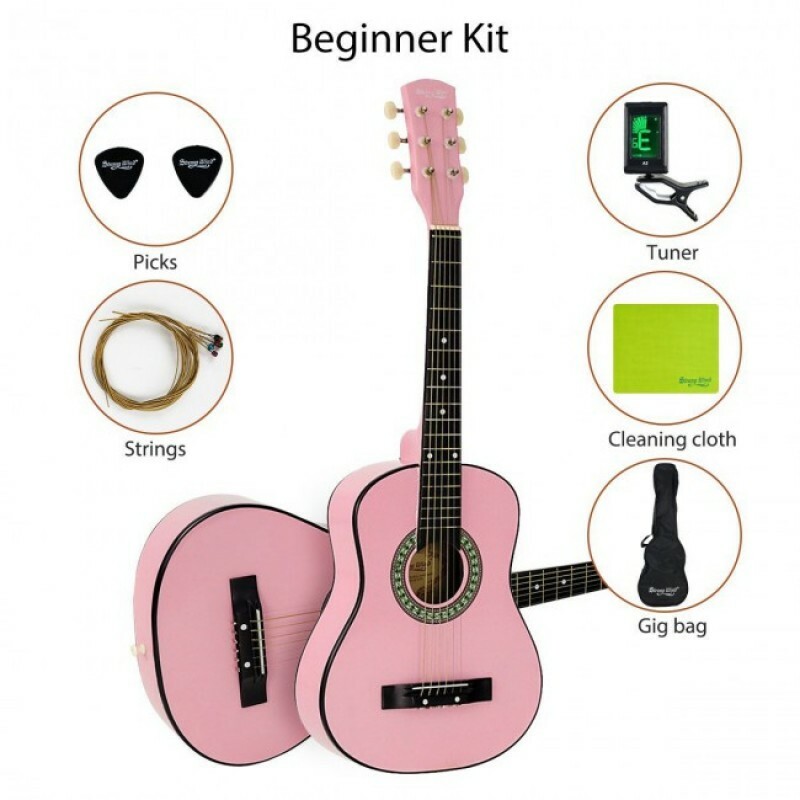 CAME WITH ACCESSORIES: This learning guitar comes with everything you need to start playing the guitar, including a guitar clip-on tuner, sturdy gig bag for protection, 2 picks for sweeping string, extra string for replacement when needed, 6 steel strings already installed on the guitar and a cleaning cloth. Supermusic1989 offers 1 year warranty and lifetime service. Free free to contact us if you have any issures. If you need more choice, please take a look at http://a.co/7cINeSR. WHY WE DO NOT CHOOSE NYLON STRINGS? Nylon strings tend to go out of tune more easily due to temperature and humidity changes because they are made of a softer material. Steel is a little more stable. Regardless, an instrument should be tuned before and sometimes during each practice session. HIGHLY RECOMMEND BUYING THIS GUITAR STARTER PACK, TEACHING YOURSELF TO PLAY IN YOUR SPARE TIME!